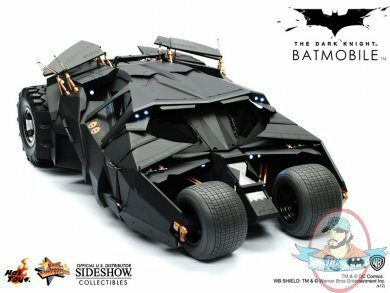 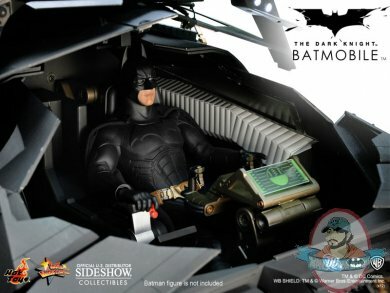 We are proud to offer the Batmobile Sixth Scale collectible, inspired by the extraordinary Tumbler vehicle featured in the blockbuster film, The Dark Knight. 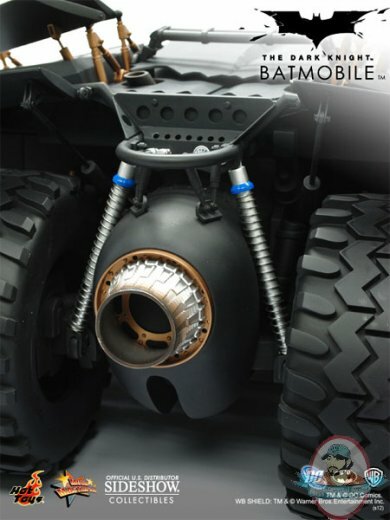 Thank you for your recent order of the Hot Toys 1:6 scale Batman Tumbler! 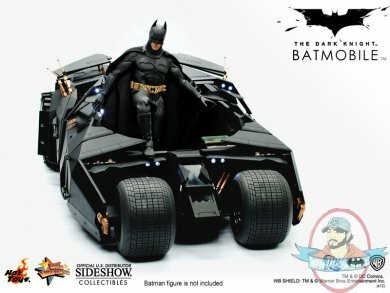 It is sure to be a great addition to your collection. 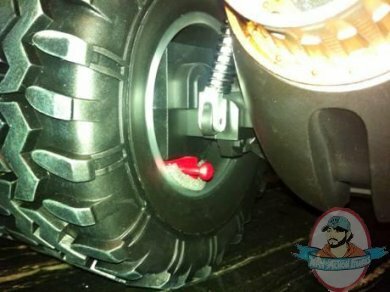 Before its arrival to you, we wanted to advise you that in order to prevent the item from rolling back and forth in transit to you Hot Toys inserted a RED rod, or manual brake, into the inside wheel wells on the front and back tires.